The 11-person mission team from Faith Presbyterian Church of LaVale, MD has done wonderful work this week. Despite the oppressive heat they have worked hard. On Wednesday morning the team did some construction work on our downtown ministry center in the morning and took 30 kids to the river in the afternoon. A little rain fell on the river trip but those kids were still happy to receive adult interaction. 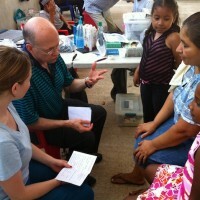 Thursday morning the medical crew hosted their third medical clinic of the week in Armenia Bonito. 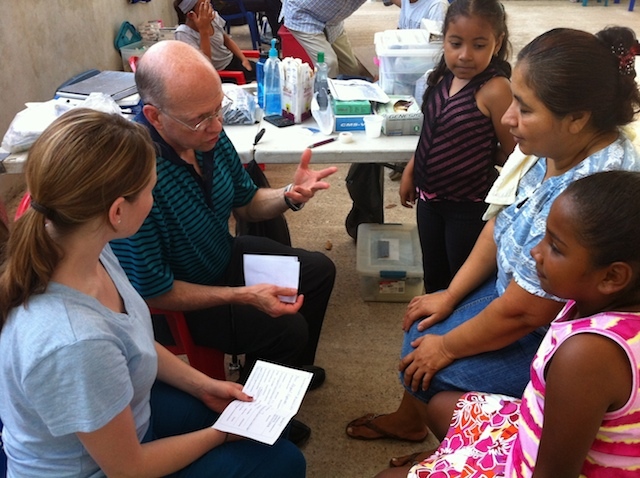 In their three clinics in this super-poor community they treated 215 patients. 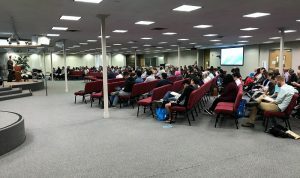 What a great blessing for these people to receive such high-level care and evangelism in their own community. The construction crew completed their work on a new house for a poor family of eight. On their final day they laid enough cinderblocks to raise the exterior walls of the house to chest level. They will now pass the work on to the next short-term mission team which arrives Saturday. Faith has been an incredible blessing to the community of Armenia Bonito and our ministry. Thank God for their willingness to serve.